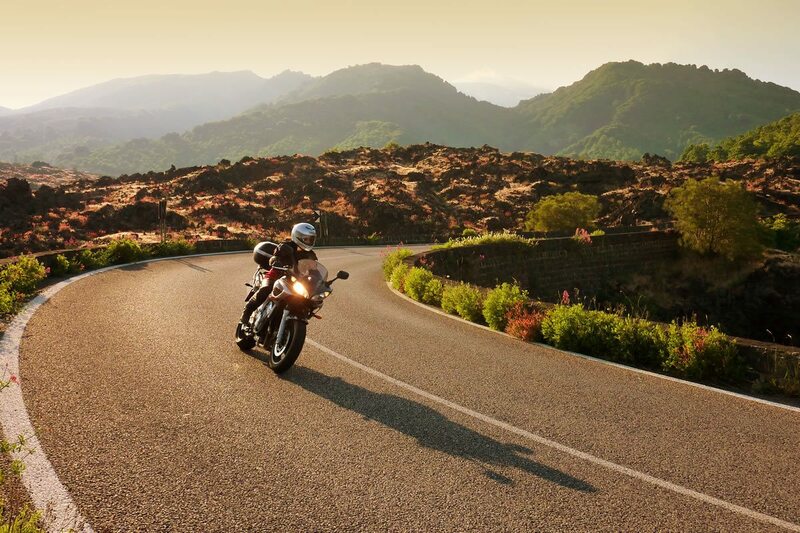 For bikers, Sardinia is probably the perfect destination. It is one of the few places where sea and mountains blend perfectly and where you will feel immerse in nature for a real feeling of freedom. Route running from Pula to Teulada: a motorbike journey of about 38 km, easy and quick, to the encounter of the most beautiful beaches in the South West of Sardinia. . Along the State Road SS 195 you will visit the most beautiful beaches of this stretch of coast: wide sandy beaches such as that of Santa Margherita di Pula. You will subsequently arrive in beautiful Chia, the main tourist centre in the area, where you can choose between numerous coves, such as Su Portu and further West Cala Cipolla and Su Giudeu. Between Tuerredda and Teulada there are numerous beaches, coves and lookout points. Bike route from Pula to Costa Verde: a beautiful route between sea and mountains. 109 km running along a stretch of the SS 195 in the direction of Cagliari and then 130 toward Iglesias, a town known for its mines, which today constitute an industrial archaeological heritage. We arrive then at Nebida, with the walk known as “il Belvedere” and the rocky peaks of Portu Banda, and finally the village of Masua opposite the impressive islet of Pan di Zucchero. Route running from Cagliari to Villasimius: one of the most beautiful roads of South Sardinia to experiment by motorbike. From Cagliari, take the 125 to Villasimius. We recommend that you follow the coast which is characterized by hairpin curves above the sea and is immersed in a landscape between the sea and the Mediterranean vegetation.